Georgette Heyer and I have a long history, but in this case, it's not because I discovered and devoured her books as a teenager. Quite the contrary, in fact. While most of my friends read her all through their teen years and have since grown out of her, realising that she is the literary equivalent of chocolate and thereby not a brilliant dietary staple, I came from quite a different angle. My mother and I were both reading Jane Austen in my mid-teens when she began reminiscing about the Georgette Heyer books she read in her own youth. "Not a patch on Jane Austen," she said. "I liked them because of the romance, but they weren't half so realistic." 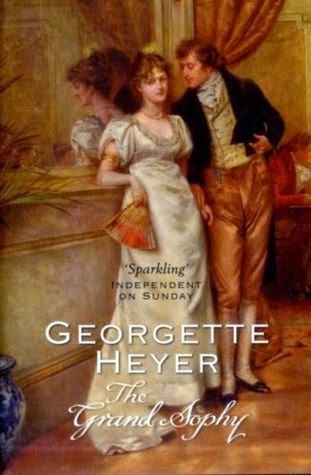 That was why for years I regarded Georgette Heyer as a trashy romance novelist, until at last another friend prevailed on me to borrow one of her Heyer novels (Regency Buck, I think). I confess I was a little disappointed on two counts. First, the romance was by no means as trashy as I had had a sneaking hope it would be! But second, I felt that the novel was an attempt at a Jane Austen imitation, and a pale and shabby one at that. By some means, however, I eventually dipped my nose into another Georgette Heyer novel, and then another, and since then she has become, with (the admittedly superior) Mary Stewart, one of my go-to guilty-pleasure reads--someone I read not above two or three times a year, but revel in when I do. I've come to appreciate her for herself, as a splendid writer of wit and comedy (a friend once confessed that the only reason she knows how to write as well as she does, is because she was a voracious consumer of Heyer as a girl), and I've also heard a glowing recommendation of her book A Civil Contract. But it wasn't till recently that I had the chance of reading one of her acknowledged classics, The Grand Sophy. Sir Horace Stanton-Lacy, diplomat to war-torn Europe, flits through London on his way to Brazil, pausing only long enough to arrange for his daughter to stay with his sister Lady Ombersley and her family. When the vivacious and harebrained Sophy arrives, she finds the Ombersley home in no end of trouble--cousin Cecilia is determined to refuse an offer of marriage from the eligible Lord Charlbury and marry a feckless poet instead, cousin Hubert looms in the background brooding over a secret woe, and to cap it off, not only has cousin Charles engaged himself to a lady even more prim and dictatorial than himself, but having got control of the family finances, he is running the home with a rod of iron to the despair of his parents and siblings. ...though if you ask cousin Charles, you might be pardoned for thinking that no trouble could ever compare with Sophy herself! And yet, this book made me dashed uncomfortable. Take PG Wodehouse's Bobbie Wickham, the closest thing the canon of English literature has to Heyer's Sophy. Bobbie is a similarly vivacious and adorable female with a similar talent for attempting to fix things through hilariously ridiculous schemes. But, and here is the important part, Bobbie does not always succeed. In fact, her schemes, more often or not, go wrong. Additionally, she is invariably depicted from the perspective of the luckless fellows who get swept up into them and bear the brunt of the suffering. They admire her. They like her. They cannot deny her charm. But they find her too hot to handle. When Bobbie heaves into sight across the horizon, they pack their bags and head to Ultima Thule. I didn't believe a word of her. That was a shame, because the hero is actually a thoroughly realistic and flawed character. But Sophy was so crackers I couldn't see how she would win his love, and I further didn't believe that he had demonstrated an ability to deal with her, as does the young man who marries Bobbie Wickham in Wodehouse. As a result, I can only recommend this book to readers who know the difference between outrageous make-believe, and actual reality. Life doesn't work this way. The charming Sophy Stanton-Lacy to the contrary, well-intentioned women who meddle in affairs beyond their authority are a plague on the earth. If you are after a delightful romantic farce, read Jeeves in the Offing or something instead. 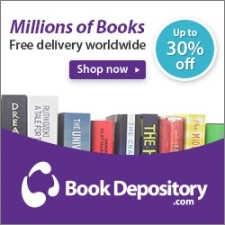 Or, if you've already read Jeeves in the Offing, then I suppose you can go ahead and find The Grand Sophy on Amazon or the Book Depository. 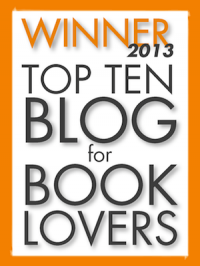 I've been waiting for you to review Georgette Heyer! I found The Unknown Ajax in our basement, and I'm looking forward to giving it a try. I haven't read that one! Heyer is fun, so enjoy, but I've yet to read any book of hers that I thought substantial in any way. I saw this book reviewed rather highly and wondered how good it really was. Thanks for your review! I'll keep it in mind for next time I want a bite of cotton candy--since I have already read Jeeves in the Offing (although Wodehouse is eminently rereadable). 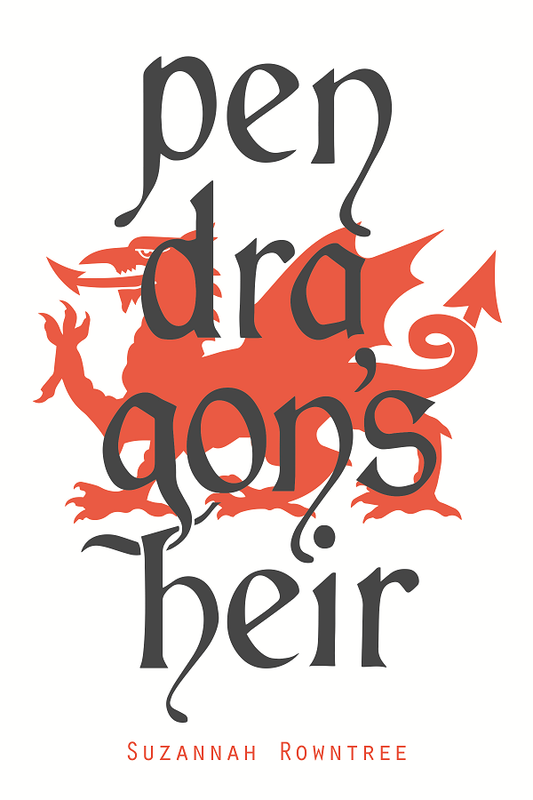 Speaking of which, you might like to know that I'm currently rereading Pendragon's Heir and enjoying it thoroughly. That's a mark of a good book. Typical, you chose a Heyerdahl to review which I haven't read. Have read the blurbs and the story just didn't appeal ! So another appeal to you to try A Civil Contract which I do feel is a substantial novel. Lady Bibliophile, The Unknown Ajax is one of my favourites. It is set on the edge of my county and I know many locations well from cycling Romney marsh and around Rye. Yes!!! This!!! I greatly enjoy this book, but, like Hannah Glawari from Lehar's "The Merry Widow," it would've been soooo much more interesting and personable if Sophy had been-- you know-- a human being? She's so emotionally remote, almost chillingly cheery, and horrifyingly manipulative, and then I'm expected to believe that she's fallen in love? Disappointing, especially considering how well done the rest of the book is. That's why I've always appreciated the presence of Charles in this novel. When he becomes so outraged over her meddling, I feel he's the only one behaving realistically. Kim, yes, I'm still looking forward to reading A Civil Contract at some point. Allison, oh, I know--it would have improved the book no end if Sophy were a little more human. Charles, by contrast, was so incredibly realistic that he seemed more or less a portrait of someone I know in real life! I went through the Gerogette Heyer phase in my early twenties. And yes, it was one of my guilty pleasures. It isn't of the same standing as Jane Austen but is definitely enjoyable. Her bold, quirky heroines were were a riot. Truthfully, I find the regency era extremely fascinating and that was one of the main reasons I picked up her books. All those rules and the need to conform to society's standards made them even more promising, because rules are always meant to be broken. Hi there! Heyer's definitely quite fascinating. I am a pretty rule-loving person myself (Gabriel Syme from THE MAN WHO WAS THURSDAY is one of my favourite fictional characters), so I don't get so much of a kick out of that, I'm afraid :D.